In countless cases, affected Texas and Florida residents lost everything, lucky to be alive, struggling to cope largely on their own with little or no federal aid, funds appropriated for business and infrastructure rebuilding, not them. Trump ignored their suffering, mocking them by failing to act responsibly. 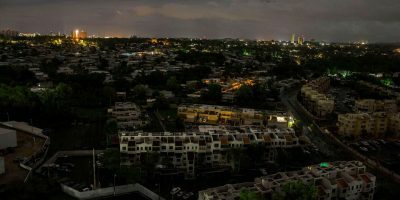 Puerto Rico resembles the aftermath of nuclear war, the island devastated without power, the ability to communicate, and other essential services, residents facing humanitarian crisis conditions, worsening daily. Governor Ricardo Rossello and other officials described conditions as “apocalyptic,” calling for vital federal aid immediately. San Juan Mayor Carmen Yulin Cruz described a totally devastated landscape. Without power, “(p)eople are literally gasping for air” in sweltering heat, she said, seriously ill individuals unable to get vital treatment, their lives endangered. The breached Guajataca dam could collapse altogether, tens of thousands of Puerto Ricans endangered by an estimated 11 billion gallon tsunami if unleashed. Around half the population has no running water, including hospitals. Few have working generators. Medical supplies are running out – Trump more concerned about Puerto Rico’s unrepayable debt owed Wall Street and other large investors than providing vital aid to desperate people. For days, islanders had no contact from federal agencies. On Tuesday, Trump disgracefully said Puerto is “an island in the middle of the ocean. (Y)ou can’t just drive your trucks there from other states” – ignoring America’s enormous military airlifting capability, along with essentials to life it can deliver by sea. Washington can put a man on the moon, others in space regularly, but won’t go all-out to deliver food, temporary shelters, medical supplies and other essentials to its Puerto Rican citizens. The island has been colonized for over 500 years, first by Spain, then America since 1898, its people exploited, not equitably served. Desperate islanders interviewed complained about lack of federal or local help, Puerto Rico battered twice, first by Hurricane Irma, then Maria. Professor of Anthropology and Caribbean Studies Yarimar Bonilla said disaster caused by Irma and Maria showed Washington’s disdain for Puerto Rico. Trump, like his predecessors, sees Puerto Rico as ripe fruit for profit-making, unconcerned about its people – even given current humanitarian crisis conditions. Disaster capitalism aims to profit from devastation caused by Hurricanes Harvey, Irma and Maria. It’s a familiar story. Promised financial aid goes for infrastructure rebuilding, upscale development, privatizations of public facilities, and gentrification in choice areas. Privileged interests benefit, ordinary people forsaken, what Puerto Ricans can expect from federal and local officials.